The second week of July finds Northern Michigan in the heart of its famed cherry season: tourists attending the National Cherry Festival meander the streets of Traverse City, large cups of fresh red fruit in hand. Restaurants all over Northern Michigan boast cherry-infused dishes, and signs advertising fresh cherries dot country roads. But just west of Traverse City in Leelanau County, there’s an unexpected fruit ripening. At the foot of the Sleeping Bear Dunes, what appears from a distance to be bean stalks are actually hop bines for craft beer. The green giants reach for the sky, swaying lazily as they wait to be harvested in September. 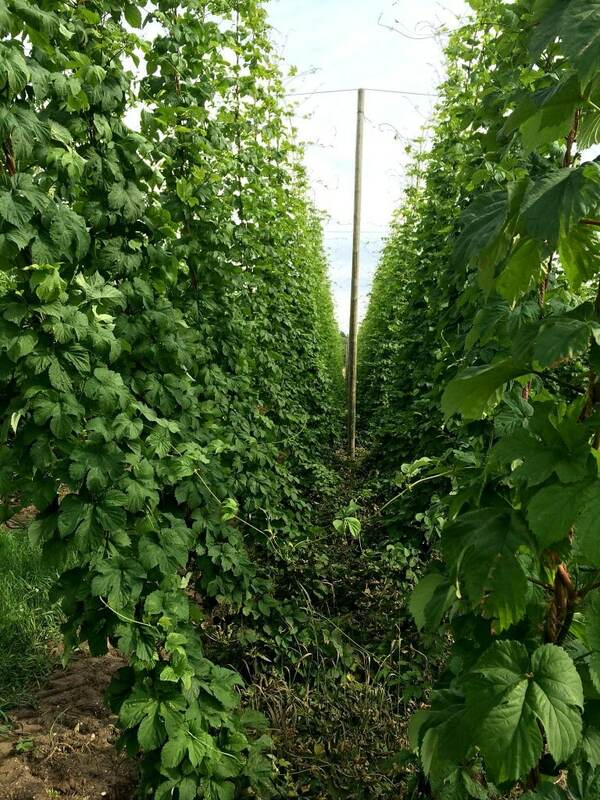 This is Empire Orchards Hop Lot, founded by Dan Wiesen and son, Alex Wiesen who run the 115-acre business dispersed between Empire and Suttons Bay. Empire Orchards is booming, and with good reason. 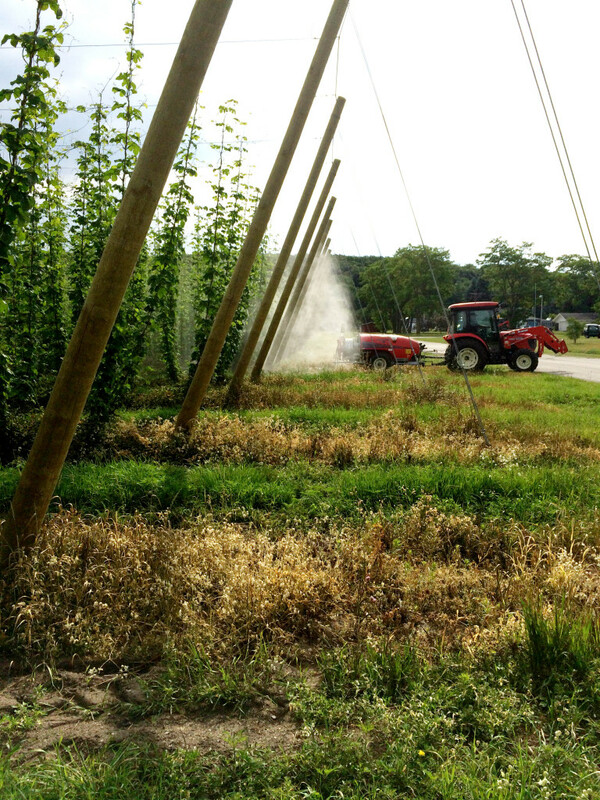 Hops production can hardly keep up with the growing brewing industry both in Northern Michigan and nationwide. It’s the perfect time for the Wiesen Hop Lot to flourish. What started as an apple business expanded into a hop lot between 2006 and 2008. “We had a lot of great apple growing property. But we had some low ground that isn’t good for fruit so my dad came up with the idea to grow hops,” Alex says, adding that the hops shortage gave Dan even more confidence in his plan. The Empire Orchards Hop Lot was born at a mere 20 acres. Now, the lots are spread throughout Northern Michigan, totaling a whopping 115 acres. “Each day in this business is different. When people ask what we’re doing tomorrow, I can’t say. We could be building another 10 acres. I don’t know” Alex says with a laugh. The expansion from apples into hops felt natural for the Wiesens. And as they do with the apple orchards, Dan, runs the operations at the northern end of the county in Suttons Bay, while Alex manages the ones out in the valley in Empire. 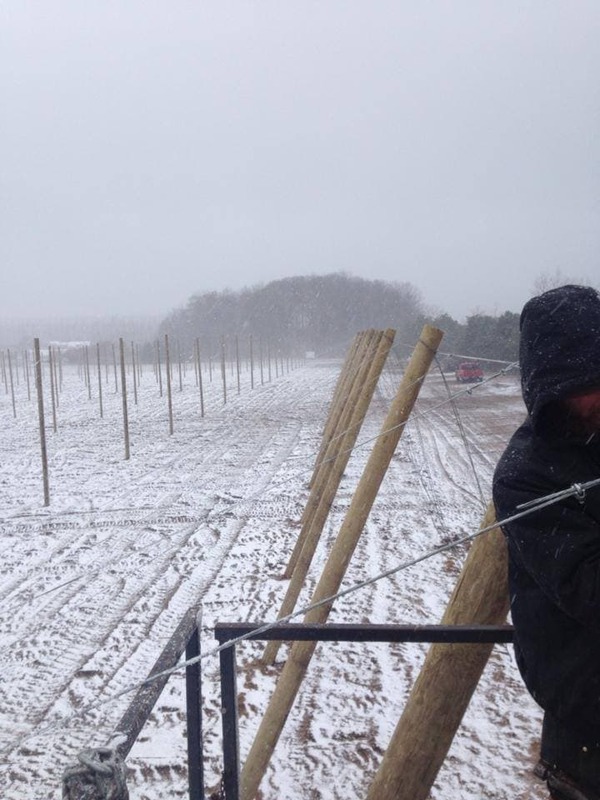 With the inclusion of somewhere around 30 farm hands, some of who have experience within the hop industry already, the Empire Orchards hop business is one of the largest in Michigan. But why Michigan for hop growing? “It’s all about the 45th parallel,” Alex says. “All over the world hops are grown on the 45th parallel. They’re sunlight driven. We also have the maritime weather and lots of water. That’s the problem out west is the lack of fresh water. We’ve got lots of it here.” And it’s true. The fresh waters that cradle Michigan are perfect for the agricultural industry as well as the microbrewery business. Another note, hops can tolerate the snow. “The snow actually insulates the roots. So, it’s good for them.” Plus, deer don’t eat hops, another big plus for the industry. Don’t get too excited. 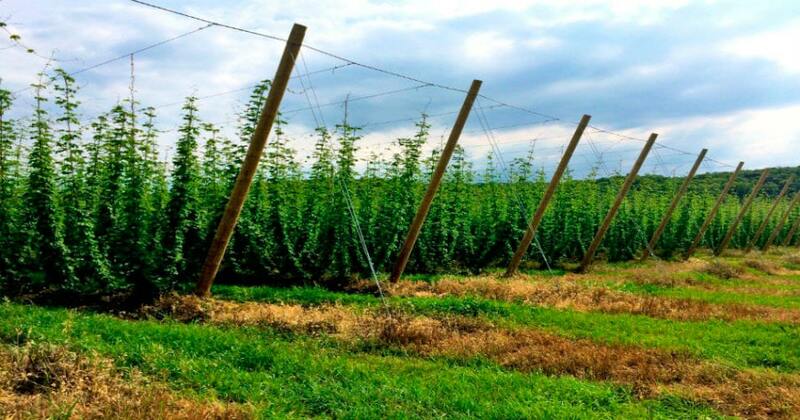 While there are many perks and assets to growing hops in Northern Michigan, it is still one of the most labor intensive crops to grow. 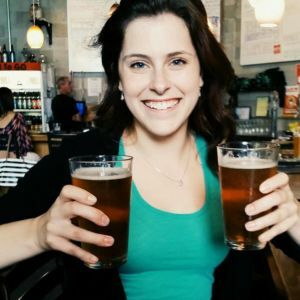 Click play to hear more about the hop industry from Alex Wiesen. 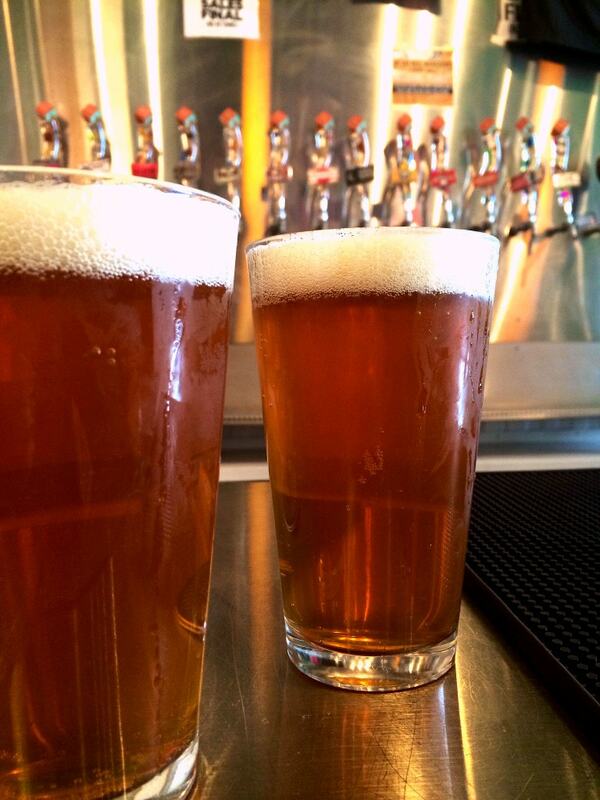 Hops are the super-ingredient in beer. These glorious green cones are used for both aroma and bittering but most importantly, they stop beer from early-spoilage. Every beer has hops and depending on which stage the hops are added in will decide what the aroma and finish of a batch might be. At the Wiesen farm, the hops begin in their large on-site greenhouse. There, they will start to sprout before being planted into one of the hop lots around Northern Michigan. Once they’ve begun growing, workers will begin to “train” the vine’s around coconut twine clockwise. Once the vines are joined with the twine, they are formally called bines. “If they’re trained counter-clockwise they’ll just fall right off.” Wiesen says. From there, it’s a matter of waiting while the vines grow up towards the sky. Once they reach the top of the twine that they eagerly cling to, the bines will begin to stretch their arms out towards the middle of the rows, and small green pine cones will begin to form within the leaves. As far as hop invaders go, Wiesen says that you have to watch out for mites and mildew. “Harvest for fresh hops begins in late August. The rest of the harvest starts on the first of September. That’s the same all over the world. Then we harvest all of September” Wiesen says. The harvest is quickly approaching, and while the lot is quiet now, it will be filled with farmhands working all day come late August. “It’s coming up soon” he says with a laugh. At harvest time, the bines are cut from the bottoms and tops and placed onto a truck where they are hauled to the current processing facility, located up the hill from the main hop lot off 72. From there, they are manually loaded into the front arm where picking wheels pull the leaves and stems from the cones. The cones will then be carried out on a conveyor belt while the left-over garbage is shot out the side. Once the cones are separated they are dried for around eight hours before they are either baled or pelletized. “80-90% of the breweries use the pelletized version.” Wiesen says. Some of the breweries include Stormcloud, Right Brain, Filling Station and Shorts. Hop bines almost ready for harvest. 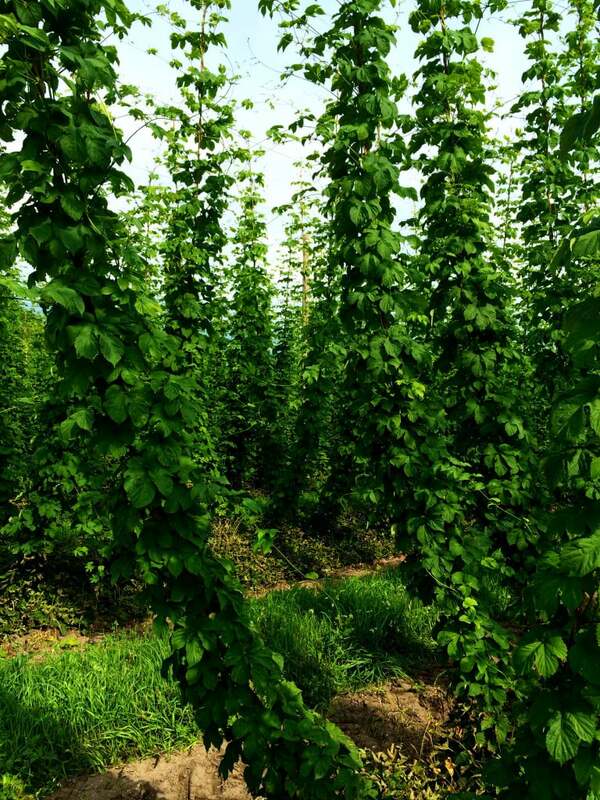 So what’s in store for the Wiesen’s hop lots? For starters, the new 30 acre lot stands in good condition, ready for the harvest next year. “We built it through the winter. You know how cold it was … we were out here with ski masks” Alex says. “We’ve also got a brand new processing facility being built,” He says, pointing out the unfinished wood structure that stands next to the new lot. “We hope it’s done by harvest, if not, we’ll start up at the current facility and then bring everything down here.” He sounds calm now, but once season starts his life will be rocketed into fast forward. “It’s a 24-hour job. Some of our farmhands spend 15-20 hour days out here during the harvest. People think it’s a hobby, but it’s not. It’s an industry.” Or maybe even a lifestyle. 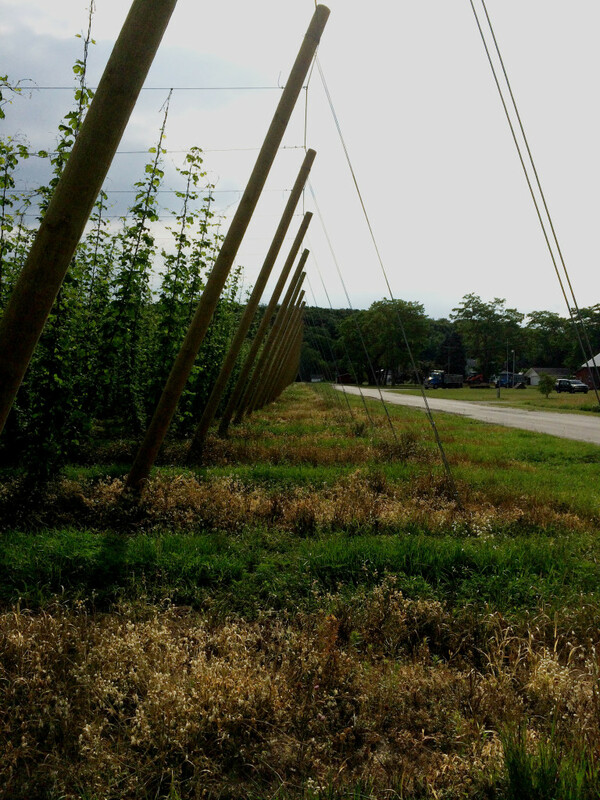 But it’s that dedication that has placed the Wiesen hop lot as the biggest in Michigan. Wiesen looks upon the new 30 acre lot with great pride, not hesitant to talk about the journey they’ve gone through to get to where they are now. “This is the biggest field in Michigan” he says while pulling dead leaves away from the baby buds that have barely begun to grow. “They were transplanted from our greenhouse and have taken awhile to get used to the soil. But they’re doing better now.” Their hard work paid off. The newest lot is breathtaking, spanning 30 acres with coconut twine hanging from wires waiting for the hops to be trained around them. The Wiesen’s lot is just one of many that have begun to sprout up across Michigan. With the growing demand for hops in Michigan, many seasoned farmers are taking a shot at this grueling industry. So what is Wiesen’s advice if someone wants to get their hands dirty in the hop industry? “Don’t do it.” He laughs “Some days I wake up and think “Man I wish I would have just done apple farming.” It’s a hard crop. That’s an argument we have a lot—which crop is harder to grow, apples or hops? They’re both equally hard but hops can have you jumping for joy one day and they can take you to your knees the next. But once you get it in your blood you can’t get rid of it. I love the hops; this is what I’m going to be doing for the rest of my life.” Wiesen thinks for a second before doling a nugget of advice for aspiring hops farmers. “Number 1 advice … if you’re going to do it, just know what you are getting yourself into. It’s more than a full-time job. It’s not a hobby.” Alexes pauses to laugh and adds: “It’s definitely not a hobby. 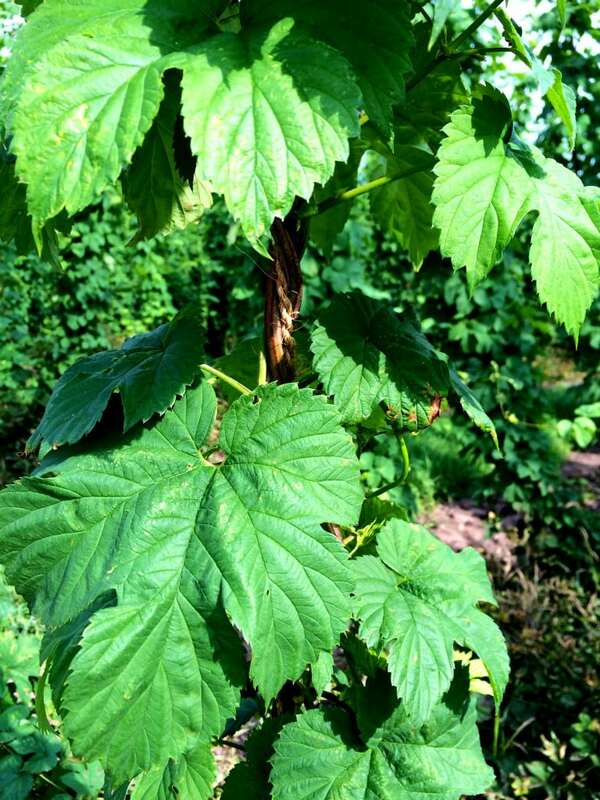 I encourage people to grow hops in their yard, that’s awesome. But if you’re looking to do this as a business, well, you can’t make money off one acre of corn. You’re going to have to do 20. 30. 40 acres to make money. Plus machines, labor, and processing and pellatizing. You just get into a waterfall of things before you realize it.” The Wiesen Hop Lot supplies to many local breweries such as Right Brain, New Holland, Stormcloud, Filling Station, Shorts and more. But How Do the Hops Taste? Well, it only seemed necessary to head over to Right Brain and grab a beer after a tour of the hop lot. Bartender, John, filled up a glass with Will Power, an English Pale Ale that features a nugget hop from the Wiesen farm. This hop is used in the boiling process for bittering instead of in the fermenting process for aroma. For someone who is not an IPA person (I’ll take a stout any day) this beer had a smooth, pleasant finish and it’s one I’d drink again. And again, and again. Plus, it paired well with the guacamole waffler slider, which is a must-try if you’re up north in Traverse City. Cheers!